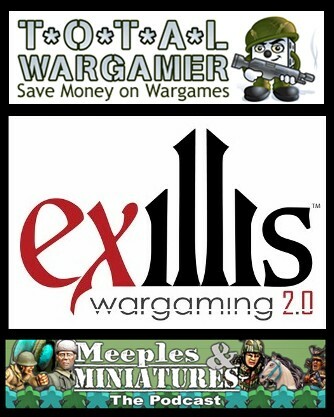 I am pleased to announce that the guys at Total Wargamer and Myself & Dave Luff are getting together once again to run another ‘Ex-Illis Day’ at the Total Wargamer shop in Blackminster, Evesham, Worcestershire. This is going to be held on Saturday 19th November 2011, starting at 11.00 and running until 17.00. It’s an opportunity to come along and maybe see Ex-Illis for the first time: Play some games, ask lots of questions about how the game/system works and also meet up with other Ex-Illis players from the Midlands area. We will have the capability to run at least 2, or maybe even 3, simultaneous games – so there will be plenty of room and opportunity to come and play a game. In addition, Total Wargamer are offering a FREE mounted Knight Baneret model for all attendees. If you think that you may want to play on the day, you can save some time by registering an account on the Ex-Illis website before the day.